It was a full house (or marquee even) and the crowds were not disappointed. 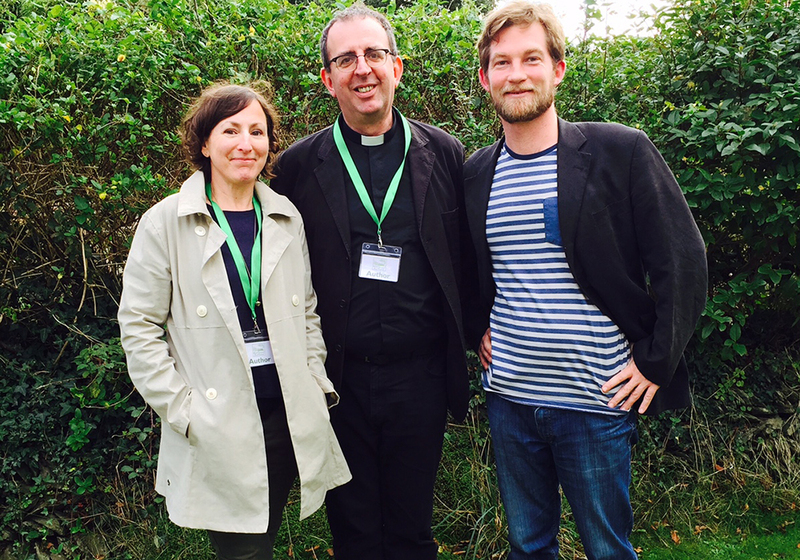 We were treated to an hour of lively and insightful discussion between Rev Richard Coles and Nina Stibbe. Both have recently published books – one a memoir, the other a novel – with surprising similarities of theme. Coles’ memoir, Fathomless Riches, is a book that “takes you to places other clergy memoir doesn’t stray” while Nina’s novel Man At The Helm was written out of fury at “10 years of my mother’s loneliness” following the divorce from Nina’s father. They both tell a story of being born into money and privilege before their lives changed as British manufacturing floundered in the 60s. They were left “humiliated and embarrassed” because with this reduction in wealth, came a reduction in their father’s status which reflected on whole family. Stibbe ran from an unusual family to normality, and Coles ran away to the London of the 80s. But this coming of age is perhaps where the obvious similarities ended. Stibbe quizzed Coles about his time in the Communards and he spoke with disarming honesty about those years, as well as the impact that AIDS had had on their group of friends. He confessed that writing the memoir had been far from cathartic. He described the process as “troubling and upsetting”. “Bruises happen – you need to write it out”. It was a privilege to hear two authors discuss with such openness, good humour and warmth the stories of their lives that have informed their literature. The use of friends and family as raw material was a main theme of the discussion but both agreed that, within legal guidelines and consent of those involved, nothing should be hidden. As Jimmy Somerville had told Richard, “Tell your story – it’s your story”. And they have.